What is the number one home improvement project that can refresh the interior of your home as quickly as possible with the minimum amount of time and money? In case you were still wondering about the answer, it is interior painting. Having gained a great deal of popularity in the past few years, some people have even honed the art of doing a DIY interior design/painting project in the past few years. However, that is not recommended for anyone and everyone since a great deal of expertise, knowledge and experience is required. You can be sure of that fact. 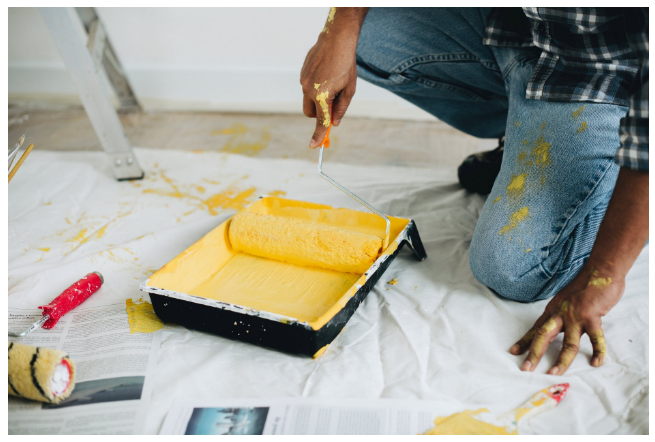 When it comes down to hiring the best and most qualified painter for the job, things do tend to get a bit hazy and confusing for a lot of people out there. How exactly does one go about the job and what all does it entail? Furthermore, does a homeowner need some prior knowledge and experience before undertaking the task of finding the best Interior house painters? Come what may, the aspect of house painting is not something that should be taken lightly at all, considering the fact that this is your very own home that we’re talking about. Be sure to check for lead paint: Since lead is a dangerous neurotoxin, this aspect cannot be stressed enough. If you are living in a house built before 1978, then it is more than likely that you still have a bit of lead paint in the original layers. 1. Paint preparation: The sheer importance of this aspect is not something that you can afford to forget. Apart from being the very foundation of the job in totality, if done incorrectly, one will notice the paint peeling off or cracking easily. Any kind of necessary repairs must be done with and completed before any paint job. Also, remember to scrub any dirty walls near the sink and stove. Any kind of grime will end up interfering with the adhesion of the paint. 2. Hiring a professional: The most important thing in this regard is ensuring that one does not make any kind of prior assumptions whatsoever. Doing so will only lead to a lot of delays and mistakes that can be easily avoided. Along with the contract, the steps that will be taken along with the products used should be mentioned. In this regard, certain key aspects like the amount of surface preparation, the type of primer as well as the brand of paint and various coats of paint are vital to remember. 3. The aspect of extra costs: Here, many people run the risk of dealing with scam services. However, in most cases, the removal of heavy furniture will not be included, which means that you will have to pay an extra charge. Plus, the painting of walls that are higher than the average of 8 feet can add up to further costs. 4. Choosing a paint colour: The importance of doing this cannot be stressed enough. For this, the perceived space of the room needs to be kept in mind at all times. The fundamental rule in most cases is that light colours tend to open up a space while dark colours tend to make a room look smaller. With that in mind, you can test out different colour using a small portion of your room. That way, you will be able to see how different colours play off each other and whether neutral colours will suit you more or not. With all of the above pointers, one also has to consider the importance of making a decision of a proper finish as well. Again, this depends on your wall and the state it is in. if there are a ton of imperfections on your wall, flat paint might be a good option, but it is hard to clean. On the other hand, not only does an eggshell finish hold up better against cleaning, but has a particular shine and is good for walls as well. All in all, enough studies have shown that the higher the sheen, the better it will stand up to cleaning and washing. 5 best things about aggregate concrete that you need to know! Here’s how Gib Stopping is important for various places! Bamboo vs Timber Decking? Who is the Ultimate Winner? Get your home an electric combination boiler and enjoy these benefits! Add Stone Benchtops! Transform your Kitchen to what dreams are made of!